From returning from our Christmas break we were set our new brief for this term. This being to create an identity and marketing strategy for a conference. This conference's purpose was to invite young people to come and see the diverse amount of opportunity within the emerging areas of creative industry and provide a voice for a new generation of young creatives working in this area. To help young people to make the right decisions for the future of the career in the creative industry. This conference would also be supported by Lecture in progress (It's Nice That’s education platform). For the first session, Will Hudson director of Lecture in progress came in to talk out Lecture In Progress and introduce us to the brief with our course leader Derek Yates. After the introduction, we were asks to put our self into groups for the project. I chose to be in a group with James Pang and Ollie Kemp. This was because of my experience of working with James in the past I knew that we worked extremely well together and I had seen very strong work from Ollie. After putting our selves into groups of our chose we were tasked with creating some initial ideas for the conference, such as the name and three speakers to talk at the conference. For this be created a list of names that we thought would have relevance to the conference and then picked out favourite being Raw. To reasoning behind this name was the concept that young practitioners we the ingredients of the future of the creative industry. Once we had picked the name we presented to the rest of the group within the class and received feedback on these ideas. From our feedback, we chose to change our name and we were also tasked with creating a tone of voice, attitude and visual language. For this we created OurWavy. We then presented our new second concept and each group was asked to cast their votes of the concept that they like the best. With the final decision being Untitled, with the concept of a blank canvas. Now that the final name had been created we were tasked to create an insight, defining statement, visual language, and ideas for marketing material/ strategies. 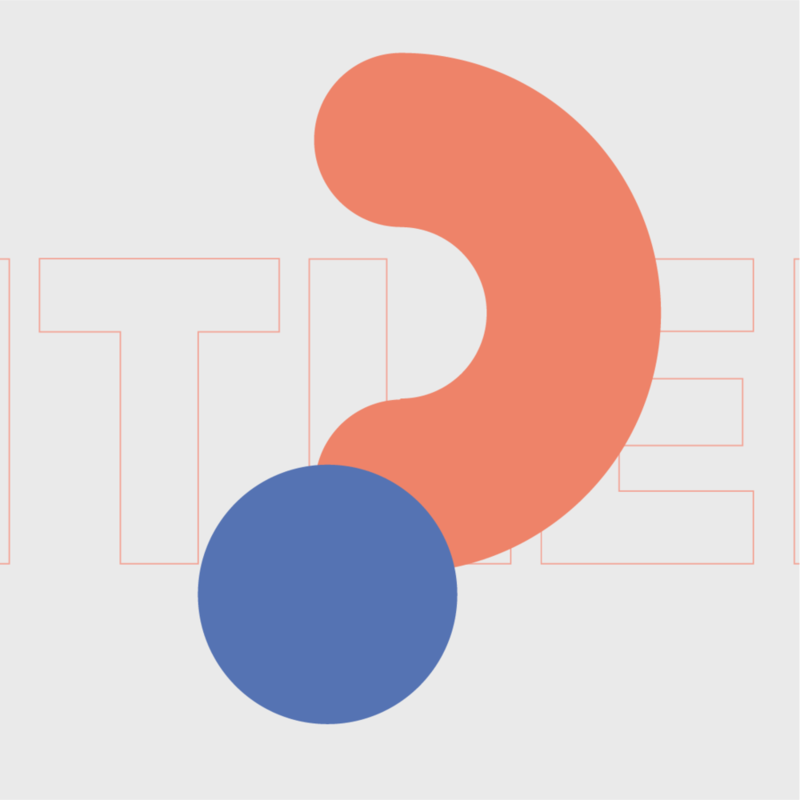 For this, we first created an infographic breaking the task it up into 3 questions being; Who are we targeting? What is our position? and what is our objective? Insight: The Majority of students are unclear with the next step in their creative Careers. Defining Statement: To invite young people to come and see how diverse and powerful the creative industry is and to help young people make the right decisions about their career path. After we had our insight and defining statement we all started to gather reference on a which we would use to each create design directions. Coming back from the previous week after setting each other the task of creating a selection of logo each. We laid out our ideas and each gave our feedback and picked our favourite. 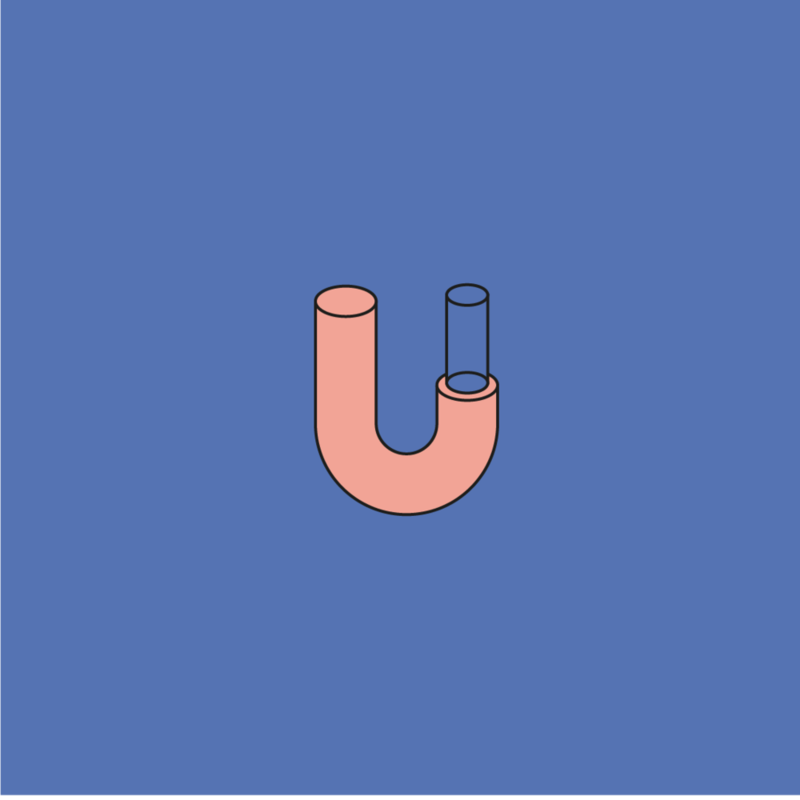 This being my 'U' form made of from a pipe. Which we created our final creative director from: A dynamic brand identity built using the forms of pipes connoting the directions into the industry. Above is the final logo type and a selection of graphics that we could later use for instagram posts. For example I have take the logo and made a pattern from the logotype that connotes the difference connection in the industry. Witch is were we realised that the logo could be used as a building bock to create the rest of the identity. 1. Insight and creative proposition. 2. Components of visual language. 3. Visual/ mock up of Eventbrite page. 5. Image/ animation/ ad for Facebook and Linkedin. 7. Visual/ mock up of pass/ programme. 8. Animatic/ storyboard of film/ video. With the first 2 deliverables already competed we began to take our design elements and create a Eventbrite page banner. Both me and James came out with a concept for this. For my attempted I took the pattern that I had created from our logo and made that the background then in a carton like style I made two boxes witch would overlay the background and contain the key info about the event. We ended up picking my concept as we felt it fitted our identity better. Then for the Instagram post, we had most of these done already from me experimenting with combing our graphic element with images of the guests that would be speaking at the conference. But, we wanted to create something a bit for engaging so we took the logo and animated it. This could be used for a social post as well as it could have been used in intervals better speakers at the conference.